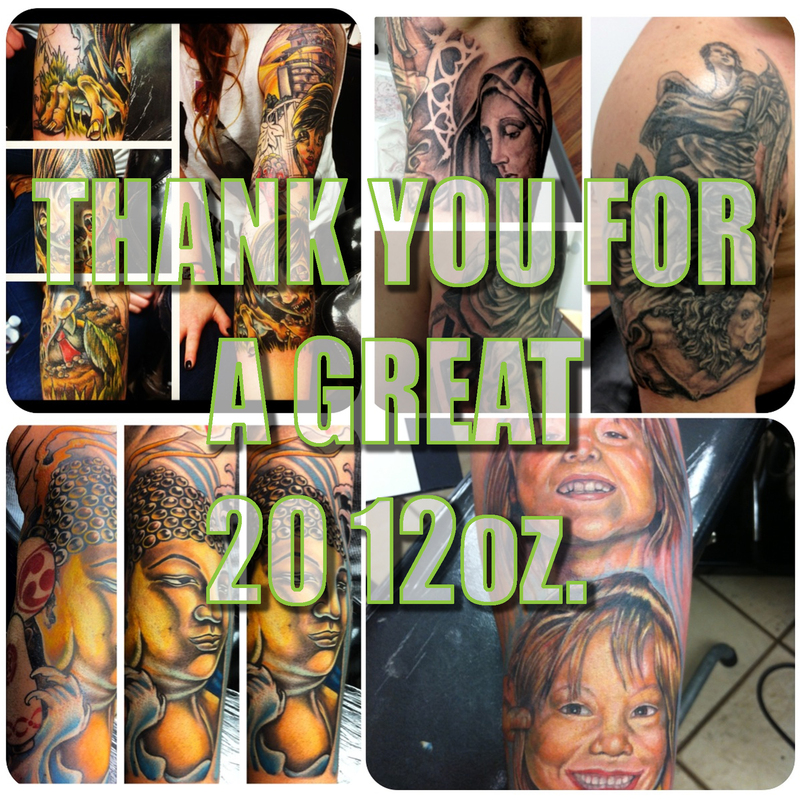 We couldn’t have made 2012 as good as it was without our dedicated clients, artists, staff and our fans.. So thank you. If you think 2012 was good, wait for 2013. Thirteen is our lucky number because on January 13th, we will be celebrationing our 8th year open. We have a lot in stored for this next year. Those who been with us from the beginning know what we used to do. So stay tuned for announcements.